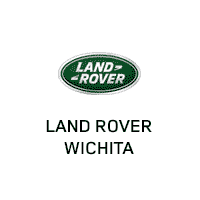 For years, our Land Rover dealership in Wichita, KS, has been proudly serving the community with unparalleled luxury-vehicle sales, repairs, maintenance and financing. We pride ourselves on our ability to offer luxury-car shoppers with a first-class experience from test-drive to delivery. When you walk through the doors of our stunning showroom, you can expect unmatched customer service from our always-accommodating sales team that continues through our financing department and finally to our service experts, even long after you've driven off our lot in your new or new-to-you vehicle. We want you to return to us for your automotive needs time and time again, and we know the key to that is providing stellar service. In addition to a progressive sales approach, we also have an expert in-house service staff. The Land Rover-certified technicians in our factory-authorized service center boast years of experience and enough finely tuned skills to complete any maintenance or large repair your Land Rover may need. Whether you're looking for the regular upkeep your vehicle requires to run at its best or you find yourself in need of more major repairs, you can feel confident when you leave your Land Rover with us. We're even home to a large parts and accessories department. Get an insider's look at our luxury dealership and amenities in the virutal tours below. Treat your Land Rover the way it deserves in our state-of-the-art service drive. No matter the weather, dropping off your vehicle in service has never been easier. Pull directly into our air-conditioned and heated service drive, where you’ll be greeted by one of our professional service advisers or valets! Our fully stocked cafe serves a wide variety of drinks, including specialty coffee. Whether looking to get some of your work done during the day in peace and quiet, or having your whole team gather, our conference rooms and business centers are set up to accommodate! If you’re in need of hosting a meeting on site, just let us know so we can schedule your time and guarantee the professionalism you deserve! We understand that sometimes, you need to make sure your furry friend thinks the car you’re buying is just right for them as well. We completely understand, and welcome pets big and small, in sales and service! Service on your vehicle isn’t always planned; sometimes the unexpected happens, and you still need to get around town, whether for the day or for a week. We have you covered, with our free loaner vehicles available while your vehicle is serviced.